If your puppy or dog gets injured by another dog (and this can happen quite innocently, maybe even during a spirited play session! ), it's important to know how to treat his wound/s properly. Of course you're going to be upset, worried and maybe even a bit frightened, but if you can keep calm you'll be much more help to your pet. He's going to be scared himself, and because dogs are very good at reading emotions and body language, he'll be MORE upset if you are anxious. 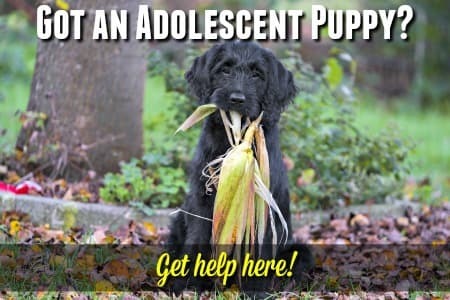 So, help your puppy or dog feel less afraid by doing your best to keep your emotions well under control. This page is a guide to dog injury treatment, specifically bite wounds inflicted ON a dog, by another dog. I hope it will help you help both you and your pet. Many injuries that your pet will pick up are superficial cuts and scrapes - especially with puppies! That's because your puppy is like a toddler, determined to explore the whole world, and possessing absolutely no sense of danger! Most of these minor problems can be treated at home, easily and quickly, if you have the right equipment on hand. When you bring home your new puppy (or before is even better), make sure to put together your Dog First Aid Kit. It will give you peace of mind... and a headstart when little Fido hurts himself. Put a dollop of KY Jelly/Petroleum Jelly (Vaseline) over the cut or scrape to prevent the clipped hair stuck all over/in it. Then using either blunt-tipped scissors, or if your pup is long-coated or the hair is thick at the location of the injury, using electric hair clippers, trim away the hair that surrounds the cut/scraped area, starting at the center and working outwards. Once you've got the fur out of the way, you'll be able to get a closer look at the injury and find out just how minor (or otherwise) it is. First wipe the KY/Vaseline away using a clean, sterile gauze pad. Then wash the wound and surrounding skin with an antiseptic solution such as Betadine, a 3% hydrogen peroxide solution, or an antibacterial cleanser/wash. If you don't have any of these handy, a sterile saline solution (such as contact lens saline rinse, or saline nasal spray) or even warm tap water with a 1/4 tsp. of salt added, will do in a pinch! The best way to irrigate the wound is to fill a disposable syringe, (the kind you get with your dog medicines for example), and wash out the injury several times. Keep working at it until the area looks clean and there doesn't seem to be any debris left. If you don't have a medicinal syringe handy, a bulb syringe (like the kind you use to dispense eye drops but bigger), or a Water Pik (used for cleaning between your teeth) can also work. Don't rub or scrub at the injury, this can cause more damage and even introduce foreign bodies or bacteria. Rinsing is enough. Use a slightly damp (not dry, that will stick!) sterile, gauze pad to dry the injured area carefully and gently. Then apply some antiseptic lotion, cream or spray... the kind you use for humans is usually fine. If the cut/scrape is on an area that your puppy can easily lick, don't use too much ointment as he'll probably lick it right off! Keep an eye on the area for several days. Keep it clean, and watch for any swelling, extra tenderness or redness that could indicate an infection setting in. If you're in any doubt at all, call your veterinarian right away. If your pet's injury is a simple scrape from teeth, nails etc. and you've followed all the steps above, he may be just fine without a vet visit, but I'd still strongly recommend that you at least call your veterinarian to fill them in and as whether or not you should bring your pup/dog in for a check up. BUT, if the wound was deep - especially if it was a puncture wound from another dog/animals teeth - then Rabies is always a potential risk and if your puppy is too young to have had his Rabies vaccination, or an older dog who isn't current on his shots, then a trip to the vet is a necessity! Even pets who are up to date with all their shots are at risk of infection from puncture wounds because they can potentially introduce bacteria deep under the skin and into the bloodstream. If your dog has tangled with a cat and been bitten, the chance of infection are even more significant than with dog bites. Always take these kinds of bites or puncture wounds on your dog seriously. Major dog wounds and injuries always need to be treated by a veterinarian as your pup may need stitches, surgery, medications and more. Although you shouldn't try to treat serious dog wounds or injuries yourself, there are some steps you can take to help your pup before/while you transport him to your local pet hospital or veterinarians' office. Wounds that are bleeding heavily, or are spurting bright red blood. These kinds of injuries are likely if your pup's been hit by a car, for example. If your pup suffers a dog bite injury, or is bitten by a wild animal the resulting puncture wound is potentially serious, so is the threat of Rabies. 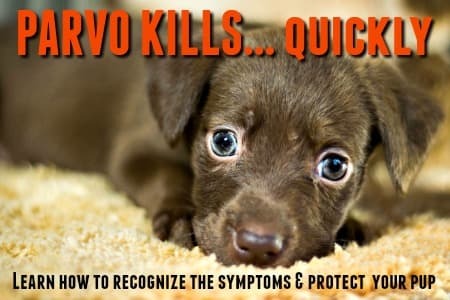 If your puppy is breathing very heavily, or very shallow. If he's panting heavily, having difficulty standing, walking etc. It most likely needs stitches in this case. The first thing to do when you're faced with serious dog injuries, is to stop (or at least reduce) the bleeding ASAP. You can usually do this by placing a sterile, gauze pad over the dog wound and applying, constant, firm pressure. Keep the pressure constant - don't lift the pad to see if the bleeding has slowed, or replace it if soaked - both these actions will interfere with the blood-clotting action that you're after! If the pad does get soaked with blood, just add another one on top. If you don't have a gauze pad handy (maybe a good reminder to get that first aid kit set up!) you can use a clean cotton T-shirt or dishtowel, a hand/bath towel is okay if you don't have anything else but the terry-toweling surface isn't the first choice. If the wound is spurting bright red blood this could mean that an artery is involved, this is life threatening. Try to elevate the area (easiest if the injured area is an leg of course). If that's not possible try to apply pressure to the artery supplying the injured area. If the injury is to a limb and arterial blood is pumping out, then using a tourniquet to cut off the blood supply to the injured limb can be life-saving... but bear in mind that it can also put that limb at risk. However, if an artery is pumping blood, it's a life-or-death situation. A lightweight fabric is best for a tourniquet, a pair of pantyhose or a stocking is perfect. The major arteries are found inside and above the front legs (ie in the 'armpits'), inside and above the hind legs (ditto before), and under the tail. 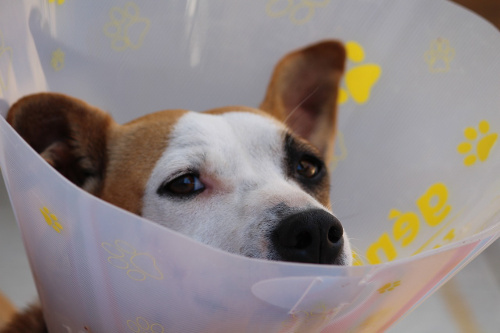 With any serious dog injury, it's vital that you get your pup to emergency pet veterinary care as soon as possible. Try to find someone who can drive you both there, that way you can keep your pup calm and continue to care for him on the way. If your pup has a dog bite injury (or has been bitten by another animal), be sure to tell the veterinary staff. If he's up-to-date on his vaccinations he should be protected, but you need to be sure. It's also good to remember that you shouldn't touch any dog bite wounds without wearing latex/rubber gloves as Rabies can be transmitted to humans this way. Once you've got your pup to the veterinarians' office or pet hospital, you can relax a little and pat yourself on the back for having the supplies on hand to deal with the emergency. The professional staff will now take over your puppy's treatment, and whether he needs stitches, surgery or dog medicines, you're in the right place!